Pink Concert with the Diaphragm Pacemaker - Avery Biomedical Devices, Inc.
Hey everyone! This week I have another exciting Nicole’s corner. 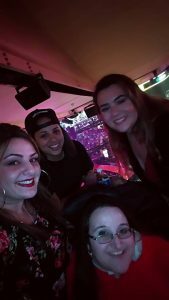 Last Thursday I went to the Pink concert at MSG. We had such an amazing time! Pink has some incredible acrobatics and an amazing voice. We were looking forward to this show for so long and said it’s finally over but look forward to the next one! !